EXCLUSIVE! All along, we thought Etc. meant "et cetera," Latin for "and the rest." 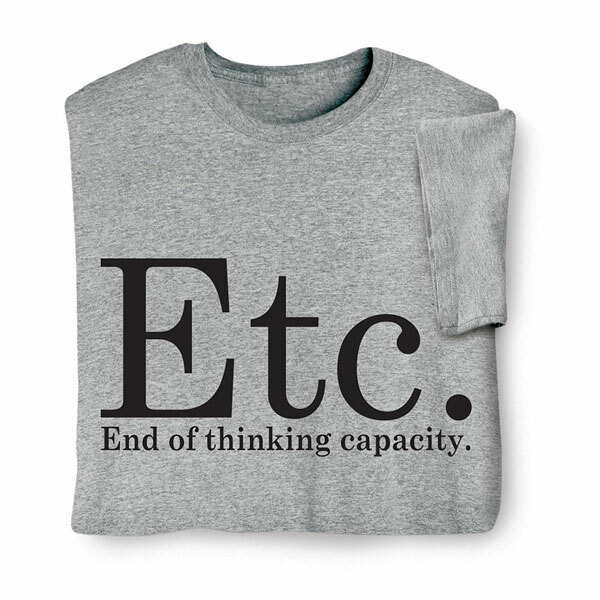 What it really means is you've run out of ideas—at least, until you've had a nap. Sport gray sweatshirt is 50/50 cotton blend, T-shirt is preshrunk 90/10 cotton blend. Sizes S-3XL. Imported.